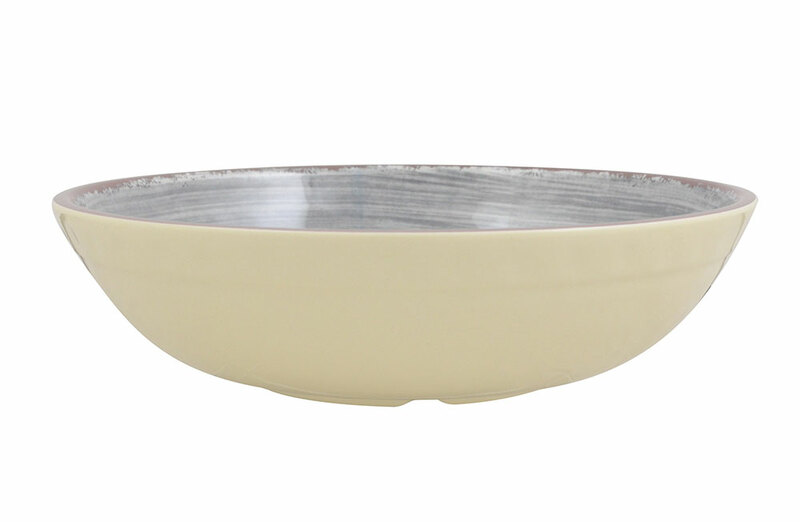 From Spaghetti and Linguine to Fusilli and Rigatoni, it’s all best enjoyed in our Pasta Bowl from Courtyard Bistro. 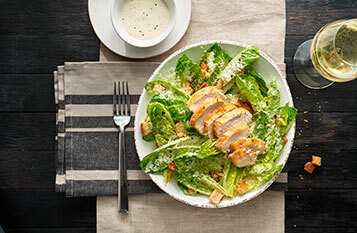 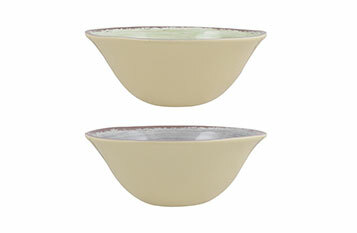 Have your fill and satisfy your cravings with the durable melamine bowl that comes in a set of four. 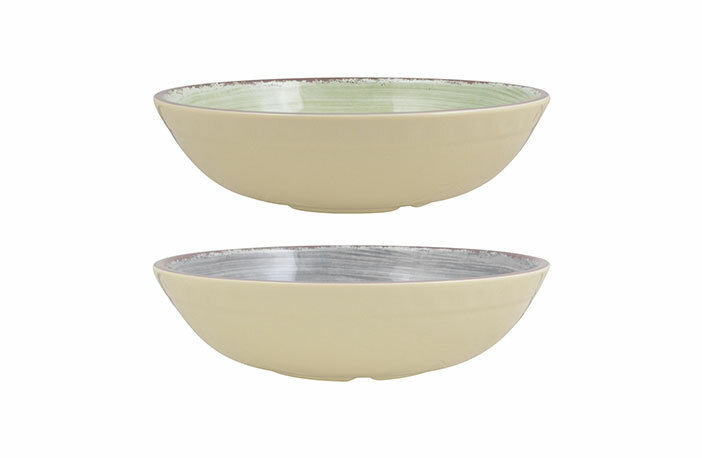 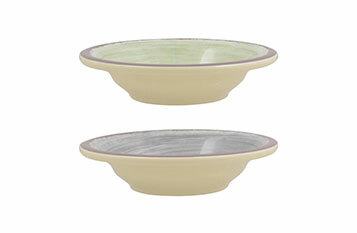 Choose from two natural interior colors, green or grey, to coordinate with our Cereal and Fruit Bowls with the same cream exterior.